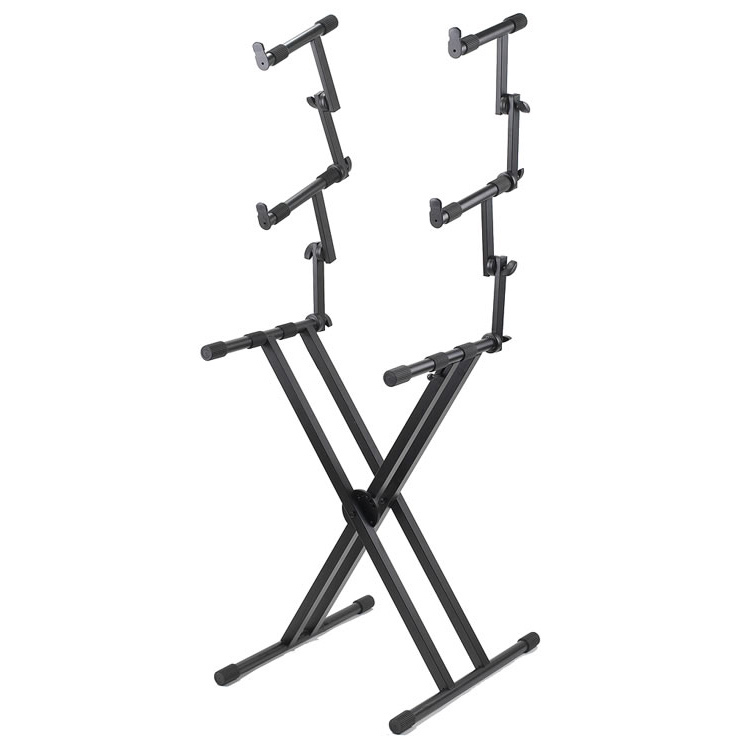 The Proline 3 Tier Double X-Braced Keyboard Stand gives you the option of setting each level to a separate width. It can accommodate DJ equipment and mixers as well as keyboards. Features locking height and width adjustments, quick-release levers and fully-welded contact points. You get maximum flexibility and support in any rehearsal, performance or skratch setting. • 3 separately adjustable tiers. • Locking height and width.